The Bogle deck is a non-interactive, explosive aggro deck that's based around playing a turn 1 hexproof creature (Slippery Bogle or Gladecover Scout) and suiting it up with cheap, effective enchantments. In a couple turns you'll be swinging for massive damage, most times it will be with First Strike and Trample or straight up unblockable. This allows for quick wins with turn 4 being the earliest. The deck is an all or nothing deck, meaning if your opponent manages to handle your sole threat the deck is often unable to stabilize and regain board position. The benefits of the deck are: fast clock, non-interactive, fairly easy to pilot, hard to disrupt, and a VERY low curve. The pitfalls of the deck are: susceptible to narrow hate, hard time bouncing back, moderate consistency issues, and major lack of late game stamina. The deck can also be built on a moderate budget with only fetchlands and Daybreak Coronet consisting of the money cards. The number of Spirit Mantle and Kor Spiritdancer are the flexible point in the core. A majority of the current builds run 2 Spirit Mantle and average 3 Kor Spiritdancer main deck. Rancor and Ethereal Armor are key auras as they allow massive damage for very little mana and provide both reach (trample) and protection (first strike) for the Bogle. Daybreak Coronet is a cornerstone of the deck and make an already scary Bogle into a down right nightmare for your opponent while Spirit Mantle closes the game faster than any other aura. Kor Spiritdancer works great in the deck as a draw source and an occasional beatstick against decks that don't run Path to Exile. At worst she'll replace herself when you cast the follow up aura but more often than not she'll be a serious source of major card advantage! The only hexproof creature on that list is Silhana Ledgewalker and needs little explanation as to why she's on that list. Noble Hierarch gains consideration as she offers a boost to your attacking Bogle and can help you crank out more auras in fewer turns. She also gives the deck another 1 drop to work with and makes for fewer hands that need to be shipped away. She does have a downside however: she turns on your opponents targeted removal. Spellskite main deck is a great solution if your meta is saturated with decks like Infect, Twin, and the mirror. In a pinch it can be suited up with auras as it's already out of bolt range, just make sure you're not playing into a Path to Exile. Every Bogle deck wants 4 to 8 Umbras in the event a board wipe resolves. Sweepers, such as Engineered Explosives at 1, are problematic because the Umbra will still save the creature but all/most auras on it will be destroyed and you'll be left with a wimpy weenie. Hyena Umbra is the better of the two since it gives the deck more access to first strike so load up on those before filling in with Spider Umbra. Keen Sense is a great draw source for the deck and if you are thinking of not running the maximum number of Kor Spiritdancer two of these are almost a must. The only disadvantages to Keen Sense are they don't provide a power/toughness boost on their own and the card you draw comes after the attack step so you don't get to utilize any auras you may draw into until the following attack step. Spirit Link is great to have if your Meta is heavy aggro and burn. The card works different than Lifelink since it uses the stack and must resolve. However, that's not really a downside as it stacks with lifelink to gain you even more life. You can even put it on one of your opponents creatures to essentially nullify it (just be careful to not take lethal as you'll still die before Spirit Link's trigger resolves!). Unflinching Courage is a brutal aura that does everything a Bogle deck wants. By the time it comes down, the Bogle most likely has 3 to 4 auras on it so Unflinching Courage just adds even more raw power to the deck. I wouldn't recommend running more than 2 since the 3 CMC can be a burden, but there have been decks that run 3 successfully. So flavor to taste! Essentially, Bogle is a 19 land deck. 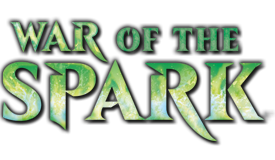 The 20th land used is a Dryad Arbor and is mainly in the deck for a sacrificial role in the event you have to work around an edict effect like Liliana of the Veil. Horizon Canopy is a great tool in the mana base, it offers turn 1 mana and can become a card if need be. The rest is pretty straight forward, but you want to make sure you can cast a Bogle on turn 1 and Daybreak Coronet on turn 3 with no hiccups. Include one basic Forest to fetch if there's a Blood Moon on the stack or in the event you can't afford to fetch for an untapped Temple Garden. Modern has a deep and diverse Metagame, but luckily Bogle has access to some broad answers and since most are enchantments, they wont devalue Ethereal Armor. Suppression Field: A great answer to a lot of headaches. It pretty much stifles Celestial Colonnade, hurts 3 color decks when they need to use fetchlands, cripples Splinter Twin, and of course makes Spellskite a little less scary. Just remember that it effects your fetchlands and Horizon Canopy so crack them before slamming Field on the table. Stony Silence: A great answer to Affinity and other artifact-centric decks. Nature's Claim: Our sole out to Blood Moon as a resolved one cripples the deck. It's also a great answer to Spellskite and other problematic enchantments and artifacts. Rest in Peace: Great against any deck that might have graveyard shenanigans such as Living End. Some side it in to neuter opposing Tarmogoyf but if your deck is built right, Goyf shouldn't be a threat anyway. Pithing Needle: The classic sideboard answer. It's great for Skite, Lilly, and just about any other activated ability that can stop the Bogle or win your opponent the game. 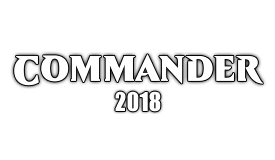 Gaddock Teeg: There are a lot more 4 CMC spells in Modern than you think: Cryptic Command, Supreme Verdict, Scapeshift, Splinter Twin, every threat in Tron except Wurmcoil Engine... The Teeg stops 'em all and most of the decks side out targeted removal and you can back him up with an Umbra if need be. Retether: A nice card to have if you expect the match to grind out. It's a shame they won't return Coronets to a naked Bogle though. Don't run too many though as the 4 CMC make it a pain to cast. Fog: A great answer to Infect decks as they usually try to kill in one shot. But wait!!! What about Blue?!? The deck performs the exact same function but at a more consistent rate when it's only G/W. Mainly it's in the fact that the mana can produce turn 1 Green, turn two any combination of Green and White, and turn 3 double White. That allows the deck to get more explosive hands and curve out the nuts on a consistent basis. With blue in the deck, it makes it harder to resolve a Coronet if you are playing with Breeding Pools instead of Razorverge Thickets and harder to drop a turn one Bogle/Scout if you got a pair of Hallowed Fountains in your opener. It's also been well proven that the deck can run off of 12-14 creatures and comparison between Silhana Ledgewalker and Invisible Stalker is close enough to discount any argument that Stalker should be included. Also, unblockablility can be obtained through Spirit Mantle and Trample is huge in the format considering the creatures with the fattest bottoms are Tarmogoyf and Restoration Angel. Geist is a three drop and that immediately discounts any use since the average Bogle deck caps at 2 CMC on the curve. The Blue auras are overshadowed by current aura package and Curiosity is easily replaced by the shifted Keen Sense. 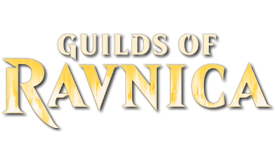 Below are example Decklists along with some lists that placed top 8 at recent PTQs. Before I move on to match ups, I'd like to cover some basic plays for anyone interested in playing the deck that never has. If you're familiar with the deck, no need to read the basics below. The key to playing Bogle is knowing how to mull aggressively. You can not keep a hand filled with great auras and a couple lands in hopes of peeling a Bogle off the top... It just doesn't happen with only 10-14 creatures in the deck. Same goes for no landers, the odds to pull lands are a bit better but just don't count on the topdeck... Bogle is notorious for bad topdecks, it's just the nature of the deck. You want a hand with a turn 1 Bogle and a follow up enchantment turn 2. Mulls to 6 and 5 are common place and mulling to 4 still can win you the game. Try not to keep hands with Coronets and no other auras, if you have to it's OK, but again I stress that sometimes you won't peel that first aura til is a bit too late. 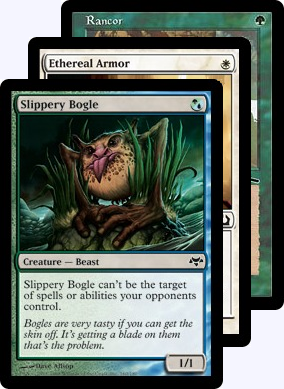 Once you get that Bogle to stick, just pile him up with all the enchantments you can. Very rarely will you have two creatures on the field with auras on each. After playing the deck a bit you'll get the feel for which auras you want to resolve first. Bear in mind Daybreak Coronets restriction. If you have a Bogle with Coronet and one other aura and that aura gets destroyed, Coronet is going to the grave as well. It's not all downside with the restriction though. If you have an enchanted Bogle and your opponent has an unenchanted Spellskite out, you can still cast a Coronet safely without worrying about the Spellskite snagging it. Bogle is one of the only decks that I'd advocate deck thinning. The math has shown deck thinning to have only a minor impact on drawing. However, with the decks curve topping out at 2, topdecking land when you already have 2 or 3 on the field is not good. Between the fetchlands and Horizon Canopy, you have access to some good thinning which will hopefully lead to drawing more auras off the top. So fetch as much as you can. Sometimes it's better to resolve your auras after combat. This is especially true if you're facing Cryptic Command decks. You'll get them to tap and draw rather than counter and tap. There will be times when you won't want them to draw (they have sided in Supreme Verdict for example and are digging for it), in that case just throw out a lesser aura to bait the counter magic. Most blue decks will counter Ethereal Armor on the spot, so that's usually the best bait to get Coronet or Spirit Mantel on the Bogle. A turn 2 Liliana of the Veil can be a scary occurrence. Just try to keep an uncracked fetch on the field if your opponent drops a turn 1 Deathrite Shaman. If Lily does come down, you'll at least be able to fetch for Dryad Arbor in response. Bear in mind that can only happen if you're on the play and most decks will hold off until they have enough mana to remove the Arbor with the ability on the stack. Sometimes there's just nothing you can do and they have you by the nuts. Sideboarding is fairly easy with Bogle. Always expect your opponent to board in Spellskite as it fits easily into just about every sideboard out there. If you're not facing a deck with access to edict effects, you can side out Dryad Arbor to free up a slot. Don't worry, siding out Dryad Arbor has almost no effect on the mana base. Under construction. I will have the Jund/Junk, U/W/r Control, Pod, and Scapeshift match ups done by 3/25/13. Currently looking for assistance with the Tron and Infect match ups. PM me if you have any insight to those particular match ups. If you notice any errors or misinformation, please PM me as I'll get it faster than just replies to the post! Also, wanted to get it up today instead of waiting until Monday for some match up analysis to be completed. Excellent Primer. 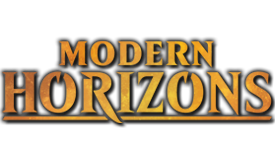 I took a break from magic and decided to get back into it by playing modern. This deck and it has been a good stepping stone for me. I think there could be a section specifically on whether having noble hierarch, silhana ledgewalker, or space for other auras/removal and the pros/cons of each. Good primer btw. Use some formatting techniques like spacing between paragraphs and bolding some terms to make it more appealing. i also think i dont need those spirit links, maybe replacing those or the needles with 3rd silence and 3rd suppression field. i would not make any changes in the maindeck so far. only thing i have in mind is dropping the spiritdancers for 4th hierarch and X ... don't know, but the dancers didn't worked out for me...never. Regarding the Nature's Claim, if you feel Blood Moon isn't going to see a lot of SB play then by all means cut it for more room, but at the moment it's our only out if it comes down too early. Rest in Peace I like because it gives decks like DregeVine another target to aim their Abrupt Decays at (rather than Coronets or Mantles) and it's harder for the Goryo's Vengeance decks to handle/play around. I feel 'our' version with the Hierarchs is resilient enough to edicts (aside from the dreaded turn 2 Lily) since we're willing to drop Nobles on the table early in the game. 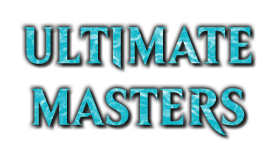 I'm definitely going to 4 Nobles for the next major Modern tourny. If you're going to drop the Spiritdancers, Keen Sense might be the direction to look at. Finally, a great Primer for a great Deck! Thx a lot, nice work. Yet, I think it is hard fighting infect with an aura deck. I played against a discard deck last week end, Liliana of the veil is a real pest! Having to sacrifice a creature is pretty hard on us, since we usually dont have that much creature in play. I'm french canadian, english is not my mother tongue, please forgive any mistakes. It's very effective when dealing with Liliana. If she sees a lot of play in your meta I would highly suggest two, maybe even three. However if you aren't seeing her played too often those slots could be used for other enchantments. Wait... What am I missing? How does Seal of Primordium help deal with Lily? Seal has been brought up a lot. The only advantages to running it over Nature's Claim is that it doesn't gain the opponent life and it gives a buff to your Ethereal Armor. I feel the 1 CMC and Instant speed on Claim make it a better SB choice than the Seal. So, is Invisible Stalker not a good card for this deck? I played a similar deck in Standard with Stalker. Generation 16: First time you see this, change the number up 1 and copy into sig. It's a social experiment. Gray goes with everything, especially gray. 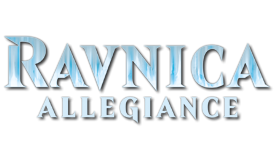 If Avacyn is Griselb[r]and, would that mean Magic just got it's first character with gender bender? A good way to deal with someone who has a larger advantage than you is to kill them. Dead players don't generate advantage anymore. I really like the primer dude, congratz on that btw! In the upcoming days i will be uploading my latest list with the analisis so i can contribute a little with "the cause"
Why is it the only answer to chalice of the void? Nature's Claim doesn't hit Chalice at 1, you can't cast Bogles through Chalice at 1, it's tough to suit up Silhana Ledgewalker when the only Auras you can stick on it are Daybreak Coronet, Spirit Mantle, and Fists of Ironwood, and since the deck I've seen board in Chalice most often is RG Artifact Tron, they have a fair chance of Pyroclasm'ing the first Bogle away. With that being said, Deglamer is an OK substitute, but against stuff like Exarch Twin, you have to hold it up (while you can drop Seal of Primordium and forget it). Why not play Quasali pridemage? Qasali is decent for chalice and before blood moon comes down, but a lot worse after blood moon is dropped. I feel my sb is pretty tight so there's only 2 slots for something against both chalice and blood moon. Out of the sb, I feel Qasali is the least effective because it costs g/w and another mana to answer. I've been having a rough time against infect. My creatures are usually too small to block early, or they've got evasion. I have 1 spellskite in my sb, but I feel this is my worse mu, any suggestions? (I keep all my removal, but can't find room in the sb for more spellskites). Speaking of sbs, I like my 1 of retether, which has been clutch against living end and and control. However, it's definitely first to go if I want something else in my sb. You can play with Fog or Holy day. No combat Damage, no poison counter. Melira, Sylvok outcast is, of course, a perfect card. Added Deglamer and Seal of Primordium to SB choices. As for the infect match up, I've got little experience against it but understand that they've got a faster clock and can win the game in an average of two swings as where we average 3. I'd think Spellskite is the way to go as it's less narrow than Melria and you can actually use it in other match ups. And as for helping you make room, we really need to see your SB. How much Infect do you expect to face? plz let me know how the 4 hierarchs are working out for you. and are u always satisfied with spirit dancer? I will, but I won't be playing Modern for a bit since it's Standard PTQ season. Spiritdancers been alright for me, she's my least favorite of the creatures I have. However, I do enjoy her draw power. I usually don't play her until I can cast a aura immediately after, know my opponent's deck doesn't contain a lot of targeted removal, or have to start drawing into answers. Spiritdancers are not a cornerstone of the deck, that's why I didn't include them in the core, Bogle can run fine without them. Why was I ignored? Why isn't Invisible Stalker played much? Hope it help some of you and to get critics to make it better ! Regarding sideboarding for Infect: I like using Dismember in my sideboard for that matchup as well as for Twin/Kiki decks. They are about as all-in as we are, except you can target your opponent's creature. Also, sometimes you have to chump block with your Daybreak Coronet'd Bogle. I've done this when facing a Might of Old Krosa'd Ichorclaw Myr. I don't know if he had 5 points of pump in his hand, but I wasn't willing to gamble with it. I played another creature and enchanted it in that game, and he was unable to draw more pump spells, so I won easily after that. Thanks for the tips on infect. I recently shifted down to 3 paths maindeck, so I could add another in my board or a dismember. I like nature's claim more overall, but having an out to chalice is nice. Iffy on the last piece of removal (path/dismember) vs another spellskite (okay against twin or a decent blocker). Besides the occasional infect/mirror, how often would one even bring spellskite in? I'm not sure vs twin since they probably move flame slash out, but beating hard and fast is probably a better plan. I haven't used mana tithe for some time, but it does seem useful occasionally. I've been liking Ajani, Caller of the pride as well (havent run into trouble with suppression field yet).